Description: The 1st Fax Extractor (FE) is a professional targeted fax number and phone number extractor tool. With 1st FE , you can easily and quickly set up your own business fax number and phone number lists. Then you will own the powerful customers group and be powerful competition to your business opponents. The 1st FE is designed to collect fax number and phone numbers matching your query. Description: Send/Receive fax from Single computer or Network. 32bit Fax for Windows 95/98/ME/NT/2000/2003/XP is 32bit, and will work standalone or on a network. You can try it for FREE. If you have one fax modem and you want 1 - 1000 workstations to send/receive fax, 32bit Fax is the answer. The workstations can be any of the following version of Windows, mix and/or match, 95/98/ME/NT/2000/2003/XP. The server does not even have to be Windows. Description: Blasting Fax Server is a cost-effective and reliable high-volume Fax Broadcasting software, has the Web Management interface. It sends bulk Faxes via regular fax modems and also over T.38 fax relay or G.711 fax pass-through VoIP networks, fully scalable up to 512 lines. 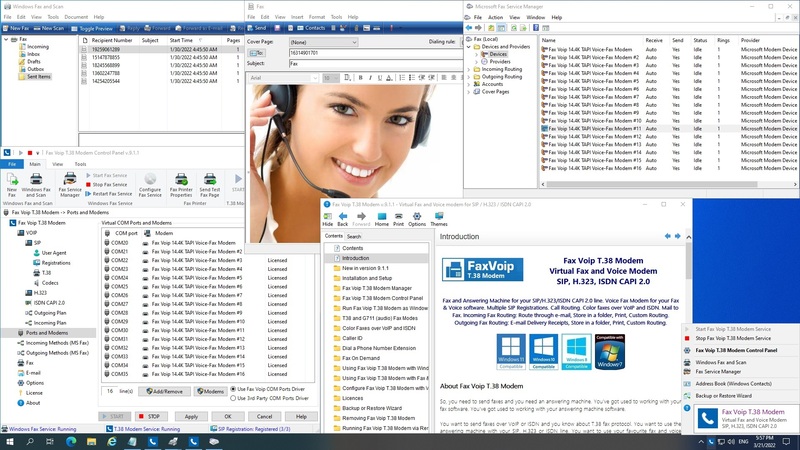 Blasting Fax server can handle millions of Recipients with no sweat. Bad Number and duplicate fax number removal included and 33.3kbps or Class 2.1 supported. Description: Fax Server Pro is a client and server system designed to integrates fax communication with your IT infrastructure. Sending a fax is as simple as printing from any Windows application. Incoming fax messages are routed directly to desktops or email as PDF files. It provides some advanced features such as email delivery, PDF conversion, Reading Track, CSID/Caller ID routing, public phone book and more...all with an easy-to-use user interface. Description: Fax Voip T38 Fax & Voice - Fax and Answering Machine for your SIP/H.323/ISDN CAPI 2.0 line. Voice Fax Modem for standard Fax & Voice software. Multiple SIP Registrations. Call Routing. Color faxes. T.38, audio and CAPI fax. Fax Voip Virtual Printer. Incoming Fax Routing: Route through E-mail, Store in Folder, Print. Fax-On-Demand. Fully-functional system for sending faxes via e-mail (Mail to Fax) and for receiving faxes to e-mail (Fax to Mail). Description: Fax Voip FSP Enables Microsoft Fax and Windows Fax and Scan, which are built right into Windows, to send and receive T.38 and audio (over G.711 codec) faxes using VoIP (SIP or H.323). Fax Voip FSP does not use Virtual COM Ports (modems), which greatly improves the reliability of your fax system. Mail to Fax - sending faxes directly from your e-mail application. Fax Routing Extension: Route through e-mail, Store in a folder, Print, Custom Routing. Description: Send and Receive fax with single computer and modem or network with multiple modems. FaxAmatic will add a fax generating print driver to your system, giving you the ability to generate a fax from any document and send to any fax machine in the world. Popular with oil companies. The registered version will handle downhole well log image faxing. Description: FaxMind Server is a powerful fax server that enables you to send and receive fax by email from Windows, Linux, Mac OS X and Mobile phone Devices(iPhone, iPad, Android), which is often called Email to Fax and Fax to Email services. The web interface allows users to send and receive faxes from any Web Browser ( Internet Explorer, Mozilla Firefox, Safari, Chrome) in any operating system all over the world. Description: Easy to use send and receive fax software for Windows. FaxTalk FaxCenter Pro manages your incoming and outgoing faxes quickly, efficiently, and reliably. 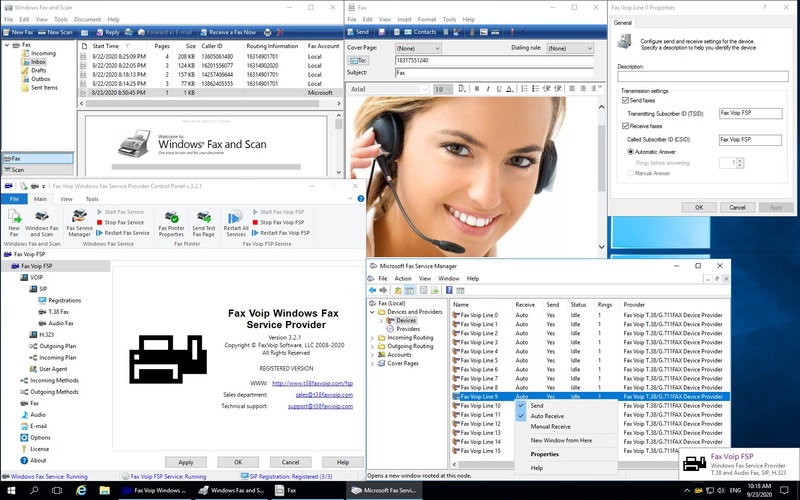 The software provides complete send and receive fax capabilities such as broadcast faxing, delayed scheduling, fax to email, access to contacts in Microsoft Outlook, Windows Address Book and Windows Contacts, fax markup and annotation tools, custom designed cover pages and more. Description: Easy to use network fax server software and broadcast fax software. Your network based users can stop waiting in line to use the fax machine and quickly and easily send faxes directly from their computer to a centralized fax server. Provide an affordable, reliable network based client/server faxing solution for your network based users. Users can submit faxes directly from their machine without a phone line or modem connected to their computer.